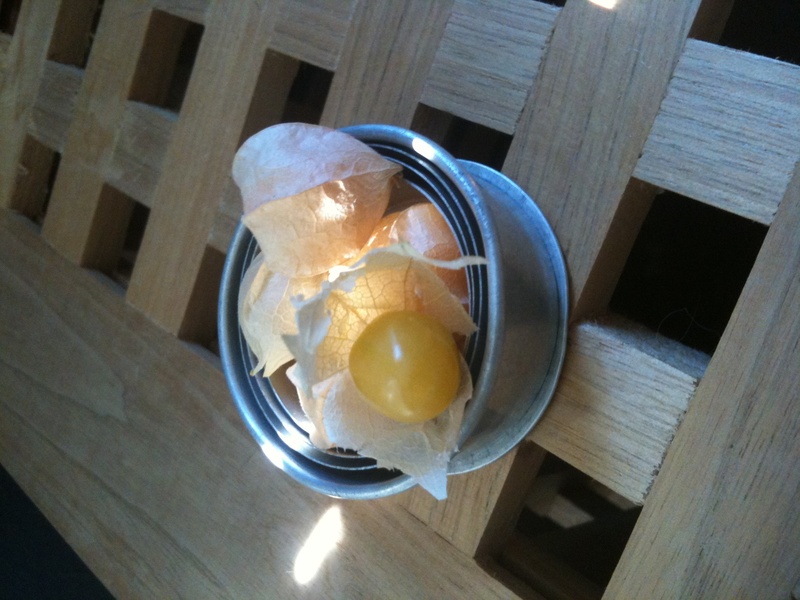 So, I’m trying to figure out if what you call a ground cherry is what I call a tomatillo. We use them to make salsa – they’re sort of like a small green tomato. Do you think they’re the same? They do look very similar, don’t they? According to Wikipedia, they are most definitely related. 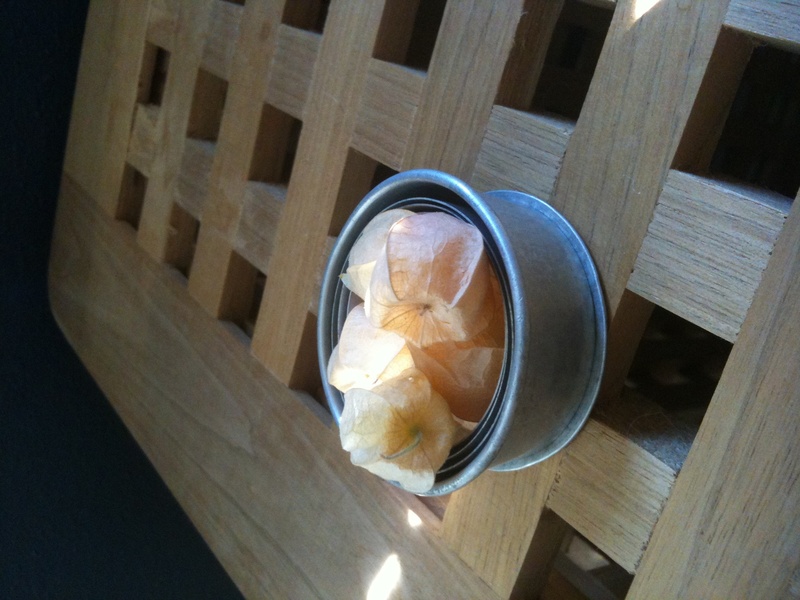 The ground cherries weren’t very sweet, but they weren’t as tart as tomatilloes, either. And I think they may have been smaller, maybe: Each fruit was about the size of a pea.